King Abdullah Sports City was built to provide the city of Jeddah with a world class football venue. Previously, Jeddah’s clubs had been playing their home matches at the much smaller and mostly uncovered Prince Abdullah Al Faisal Stadium. Construction of the new stadium started in 2012, and King Abdullah Sports City officially opened on 1 May 2014 with the Cup Final match between Al-Ahli and Al-Shabab (0-3). 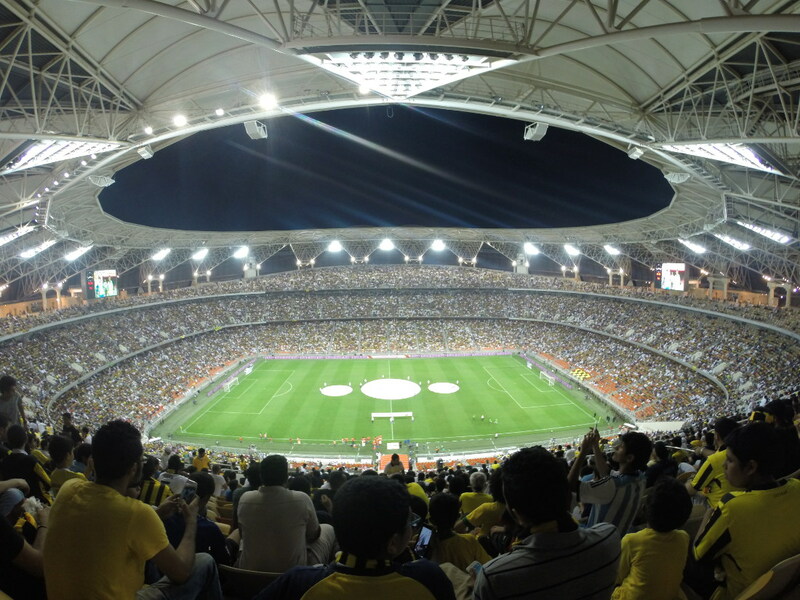 Besides being the home of Jeddah’s two top teams, the stadium also regularly hosts matches of the Saudi Arabia national team. King Abdullah Sports City is located in the north of Jeddah, just north of the international airport. 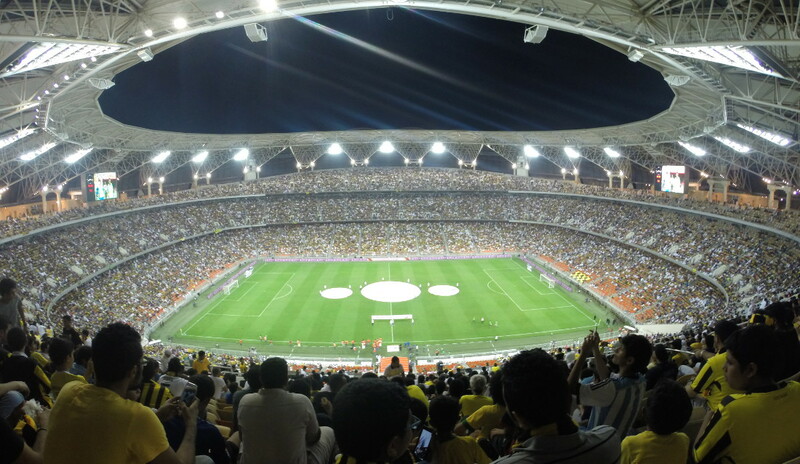 The stadium lies about 15 kilometres inland from the Corniche, 20 kilometres from the Red Sea Mall, 35 kilometres from the King Fahd Fountain, and 40 kilometres from Al-Balad old town. It is easiest to get to the stadium by taxi or your own (rental) car. Alahlifc.sa – Official website of Al-Ahly SC. Ittihadfc.com – Official website of Al-Ittihad FC. Kasm.com – Official website of King Abdullah Sports City.